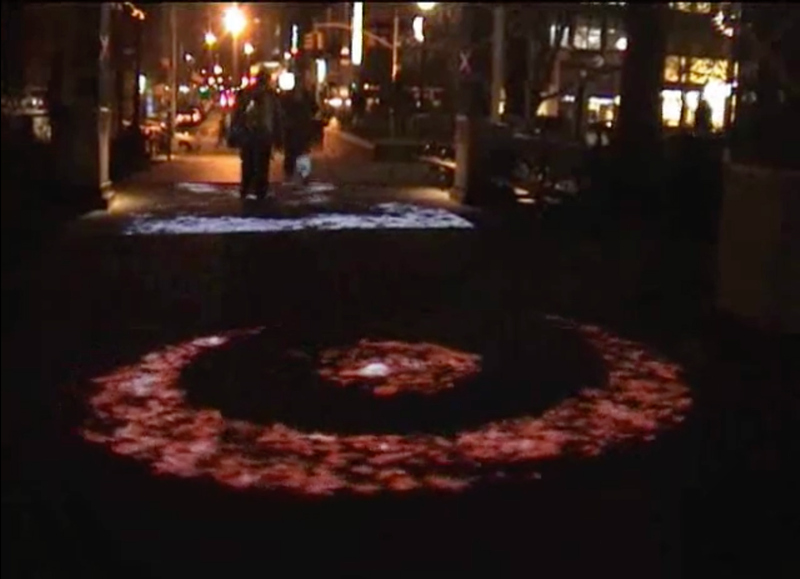 Target and Studio Tord Boontje transformed the footpath in Union Square Park into a world of holiday imagery for the month in the run up to Christmas. Through the magic of technology, visitors could interact with the digitally depicted animals and floral elements – playing, running, spinning and even floating away. My inspiration for Bright Nights was a desire to awaken the senses and bring wonder and fantasy to many this holiday season. By partnering with Target, I had the opportunity to design a never-before-seen lighting installation that, while technically advanced, is also emotional and memorable. My vision for building a winter wonderland in New York City has been brought to life. The sensory experience was enhanced by the infectious, electronic soundtrack of Goldfrapp.